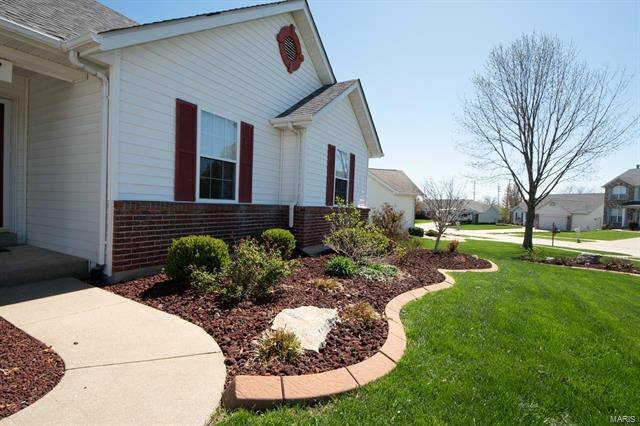 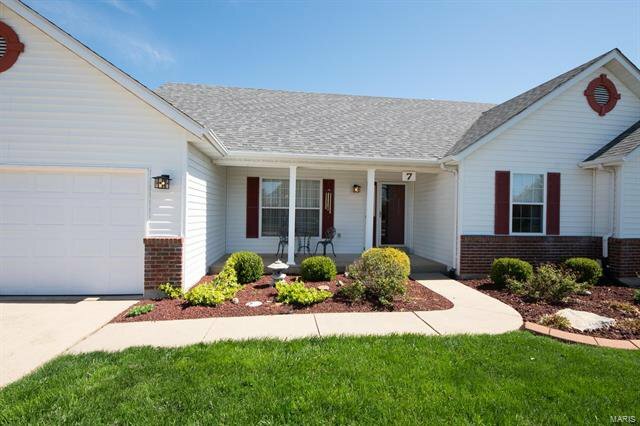 Beautiful ranch home in great location, just minutes to I-364, I-40/64 or I-70. 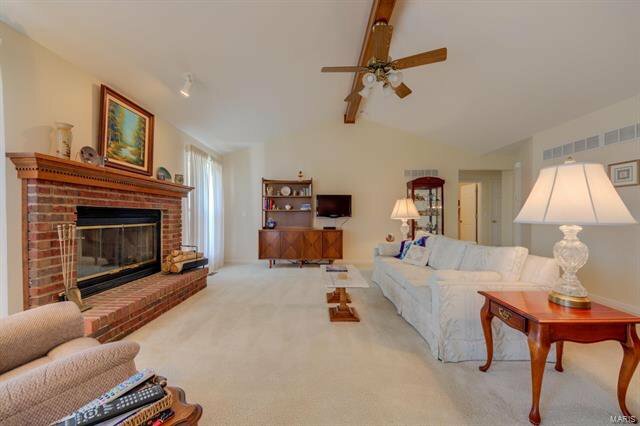 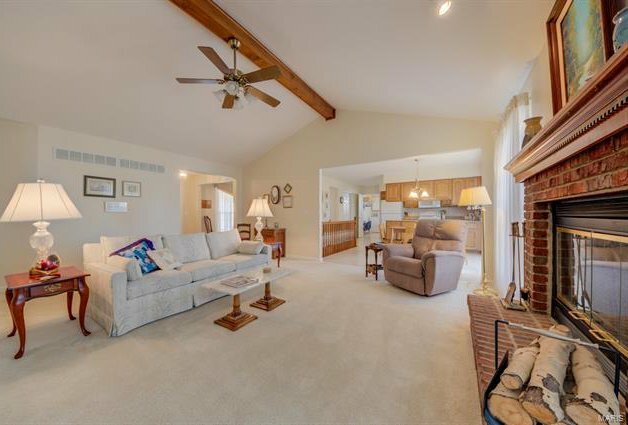 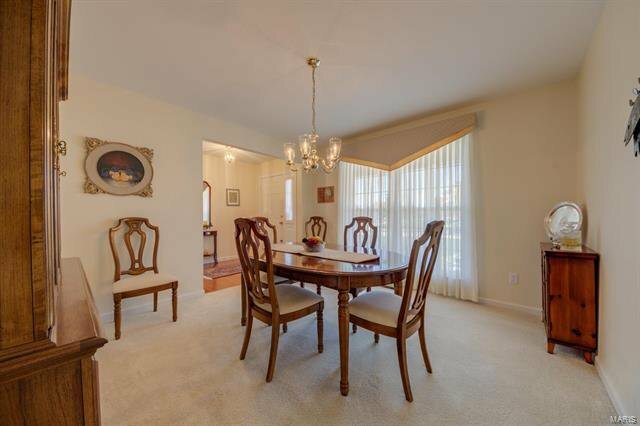 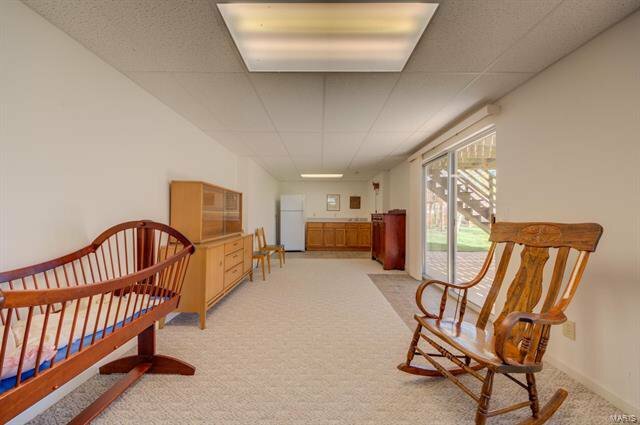 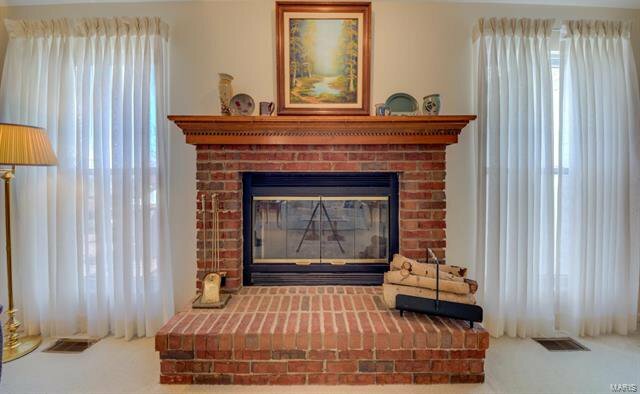 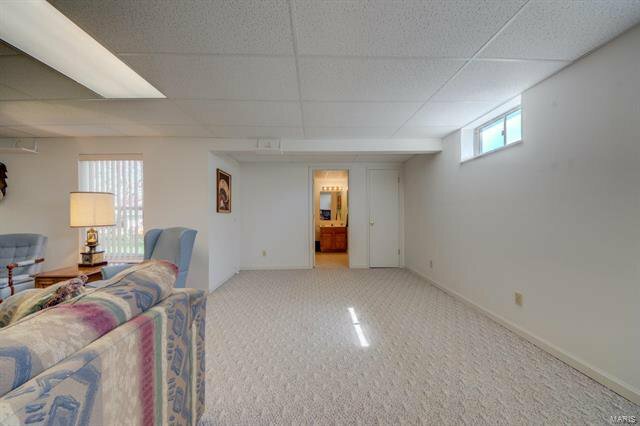 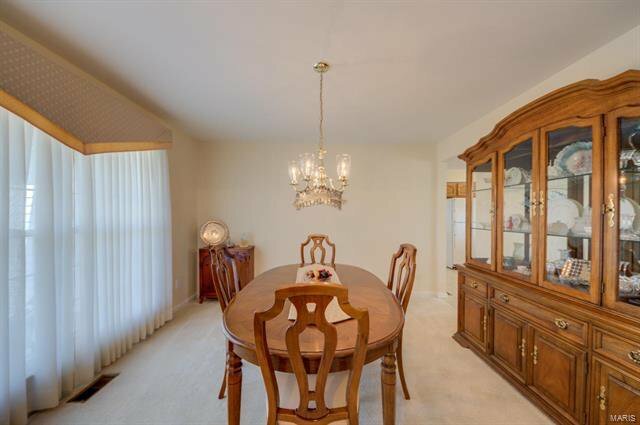 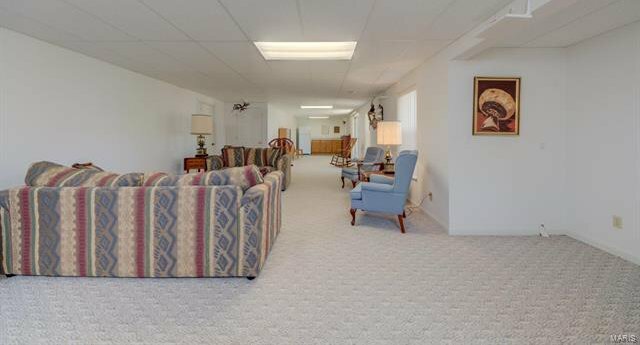 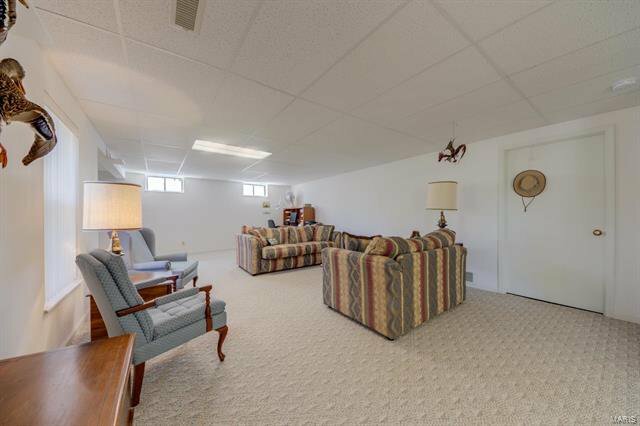 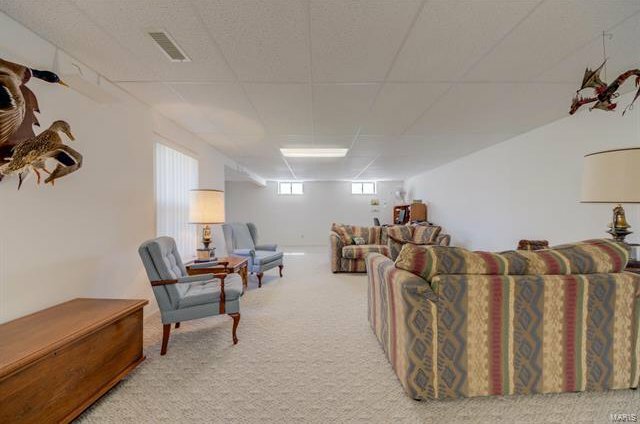 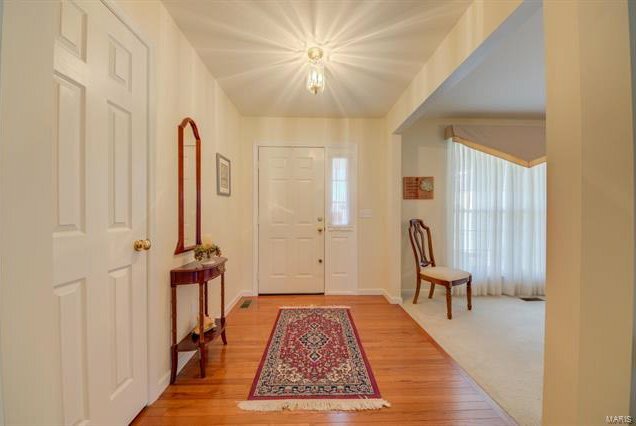 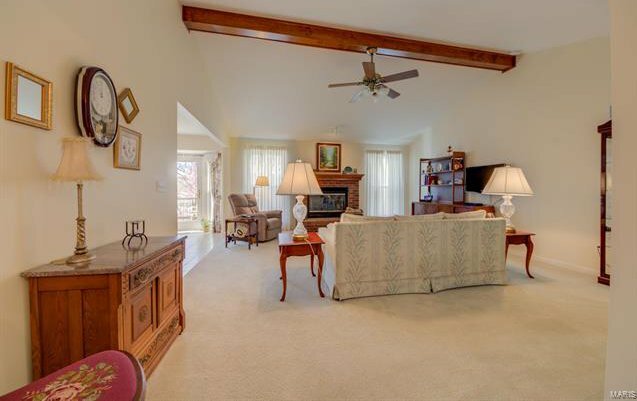 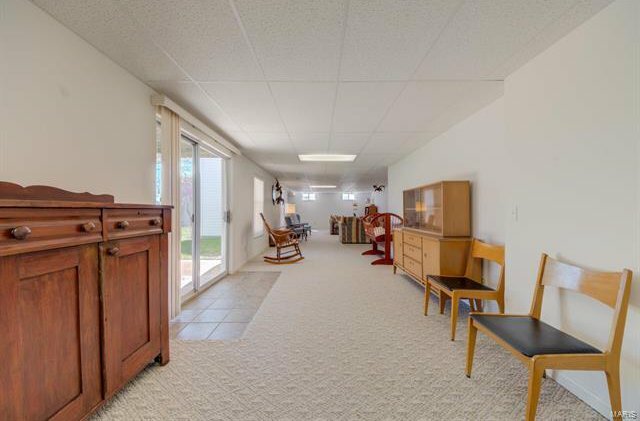 Vaulted great room w/ lovely gas fireplace, hardwood foyer and separate formal dining room. 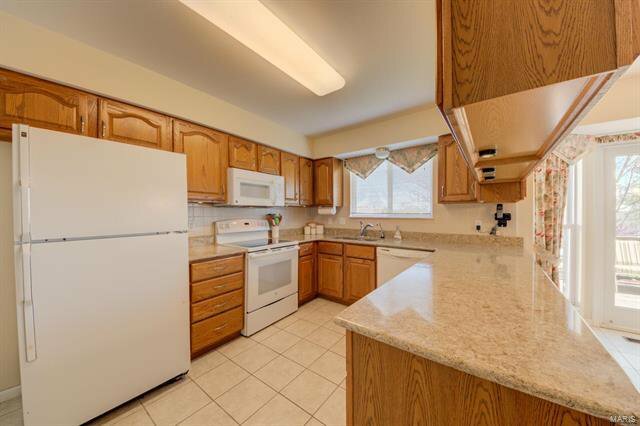 Spacious kitchen has been updated w/ Quartz counter tops, pull-out shelves, ceramic tile flooring, newer appls & refrigerator stays. 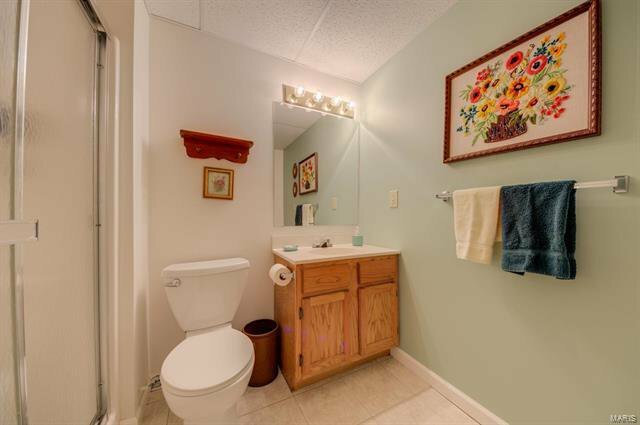 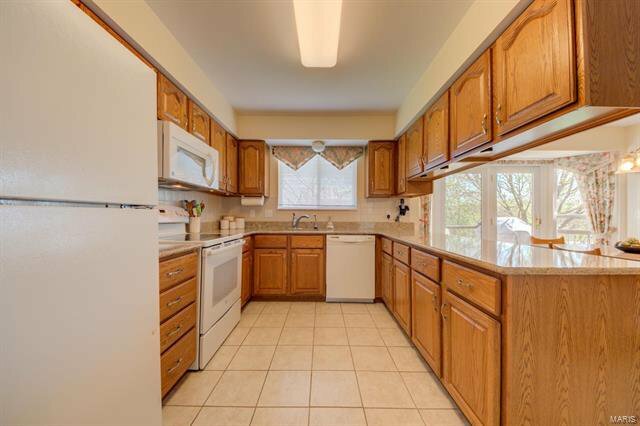 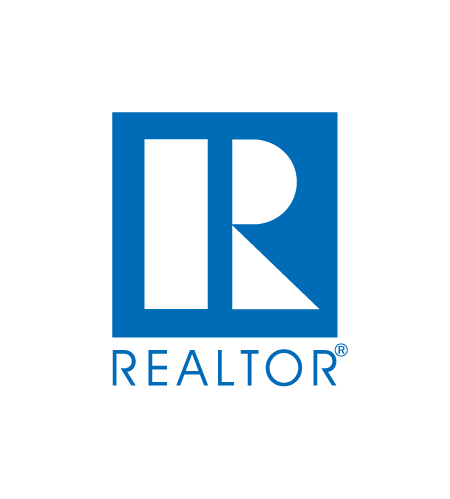 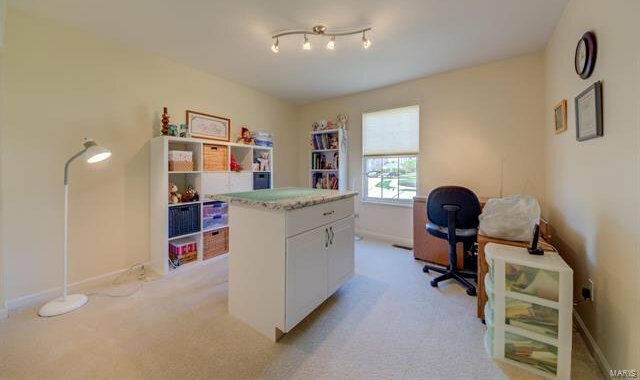 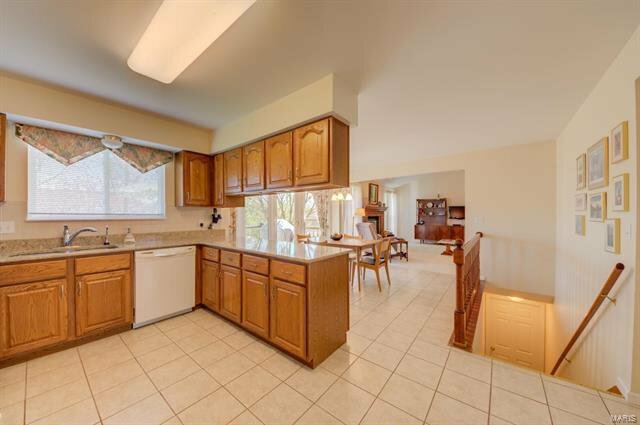 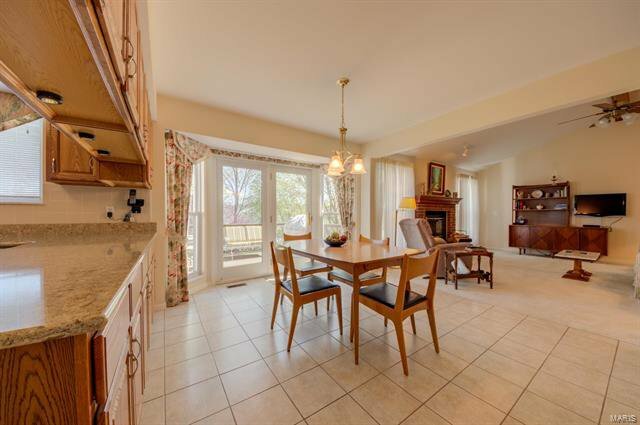 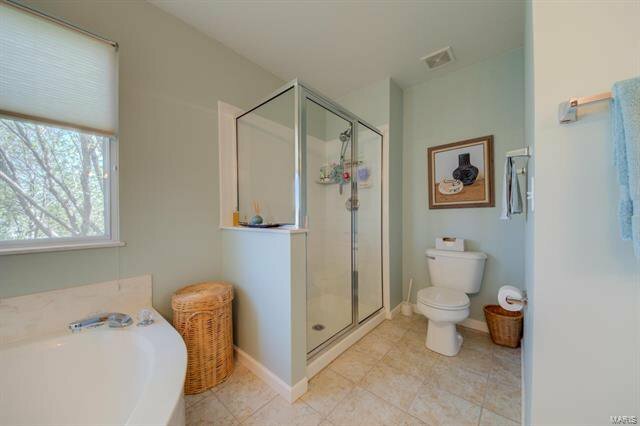 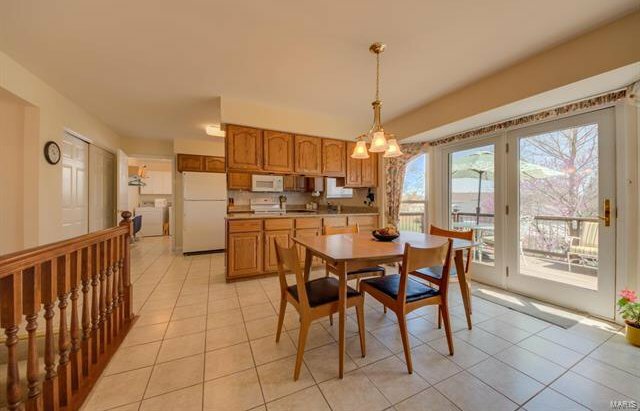 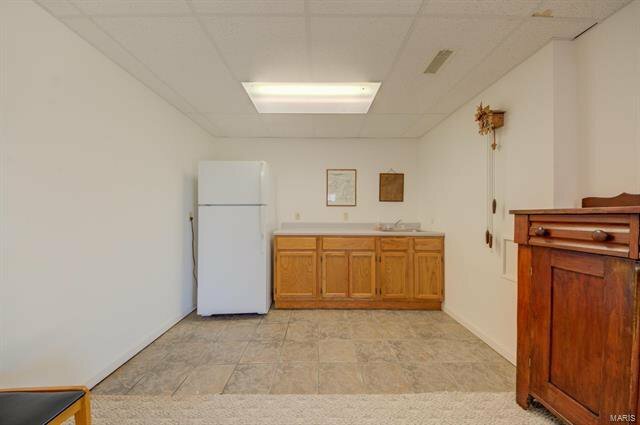 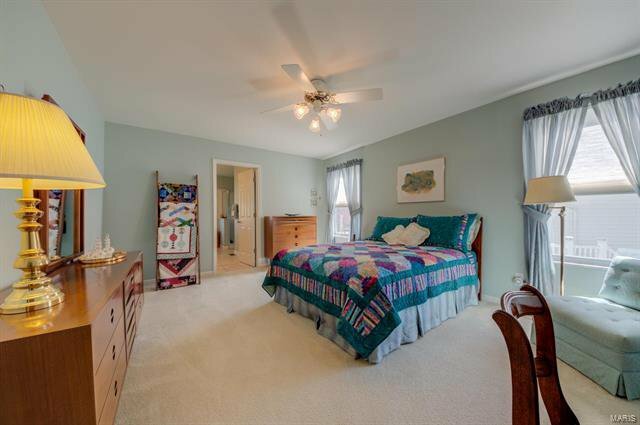 Main floor laundry room w/ tile flooring, breakfast room w/ tile floor & bay window. 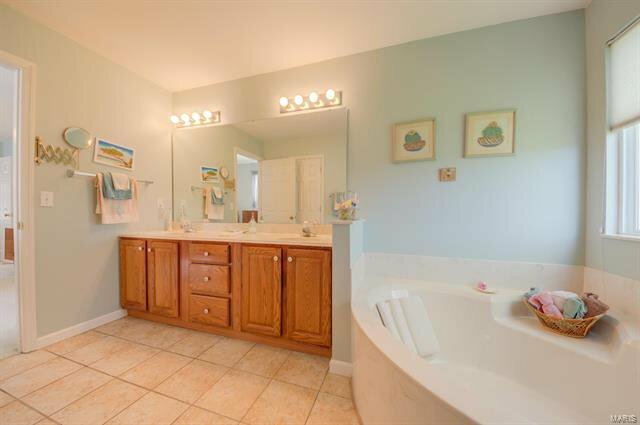 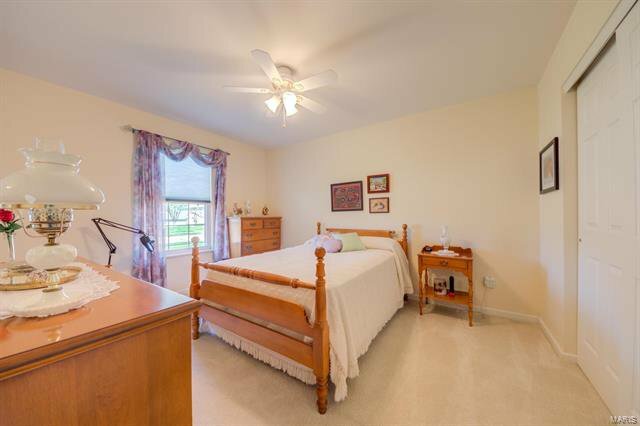 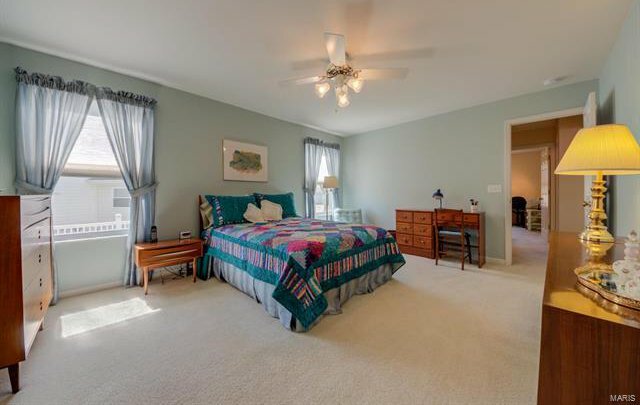 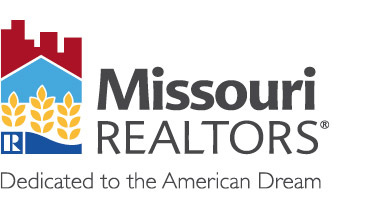 Huge master bedroom suite w/ walkin closet, luxury master bath w/ double sinks, tile shower, garden tub, tile floor. 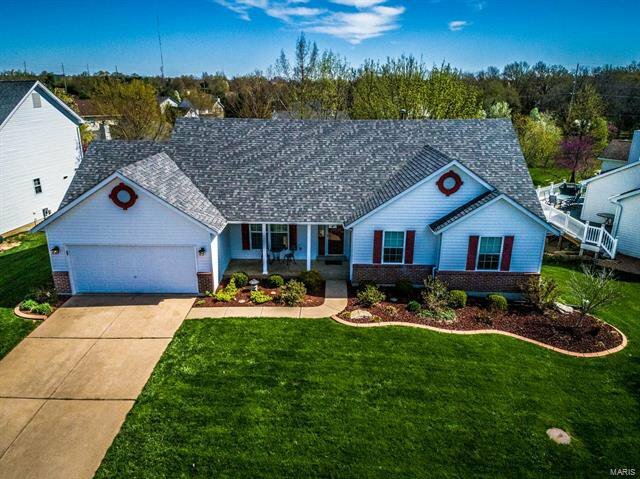 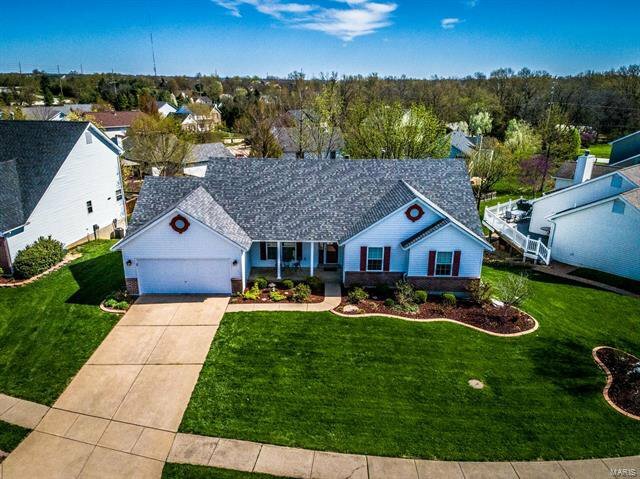 Super finished, walkout lower level w/ massive family & rec room areas, kitchenette w/ wet bar, 2 big windows, full bathroom, workshop room w/ cabinets & peg board, tons of storage. 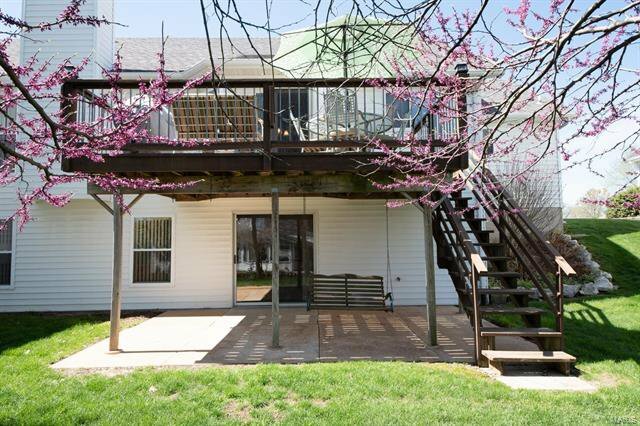 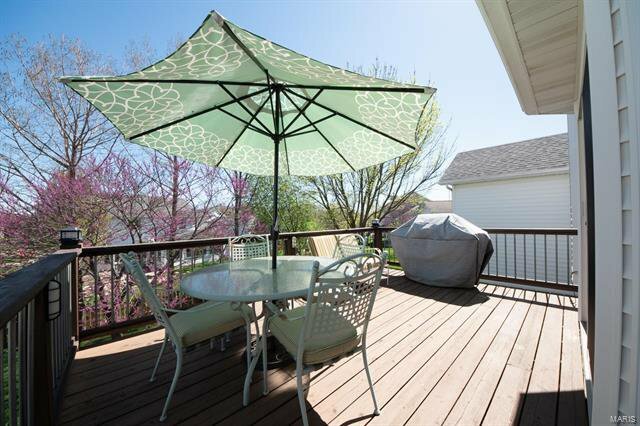 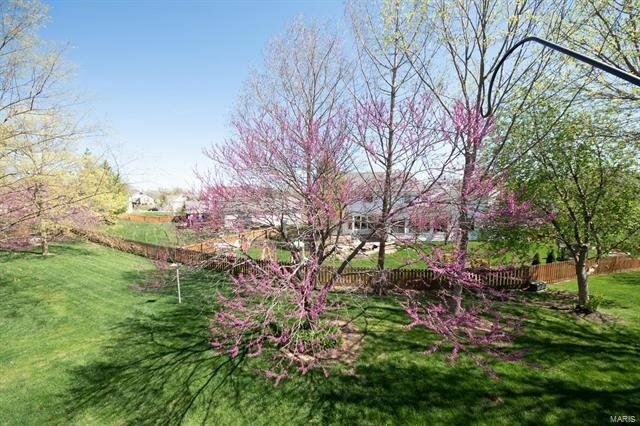 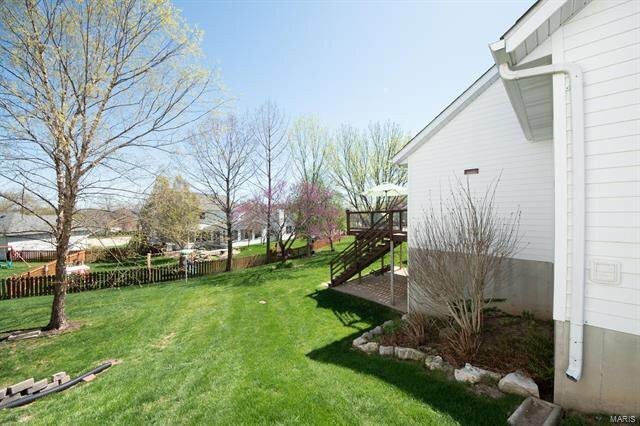 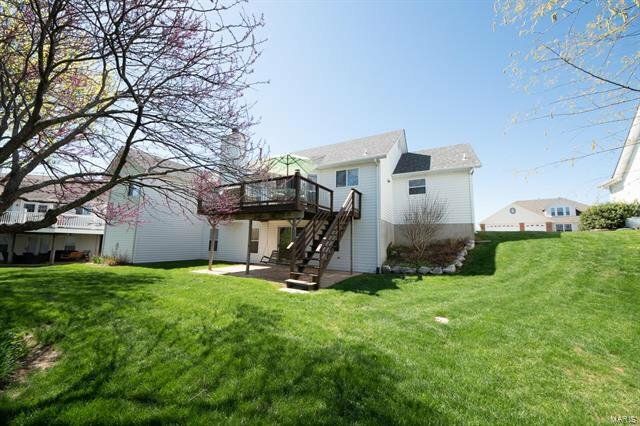 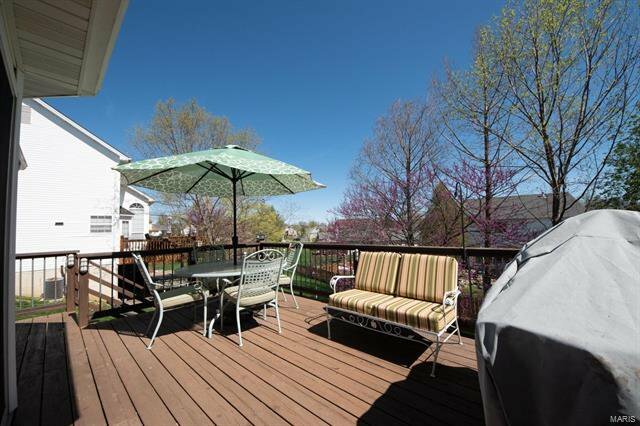 Nice deck w/ a patio underneath, pretty landscaping & home backs to mature trees in the level yard. 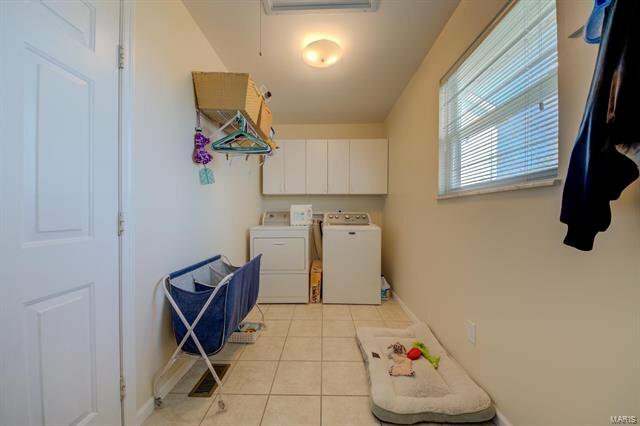 Sprinkler system & electric pet fence (no collars). 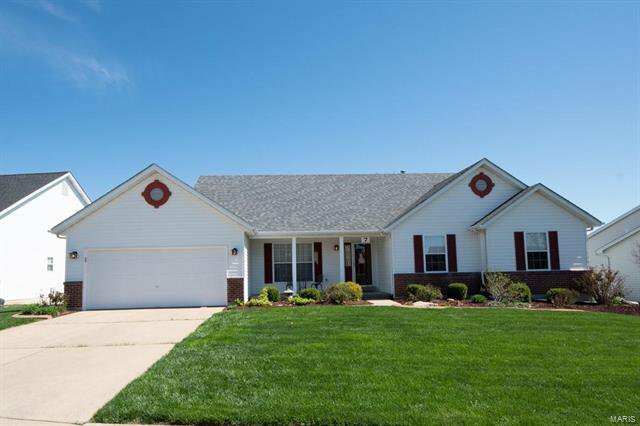 New HVAC systems in 2013, new roof 2011, new water heater 2017. 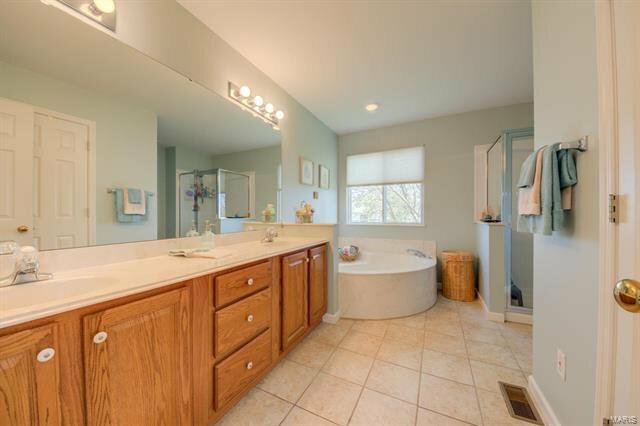 Hurry or this one is gone!